Making horsepower is as easy as replacing your stock air cleaner assembly with a Moroso bolt-in High Flow Air Induction System. 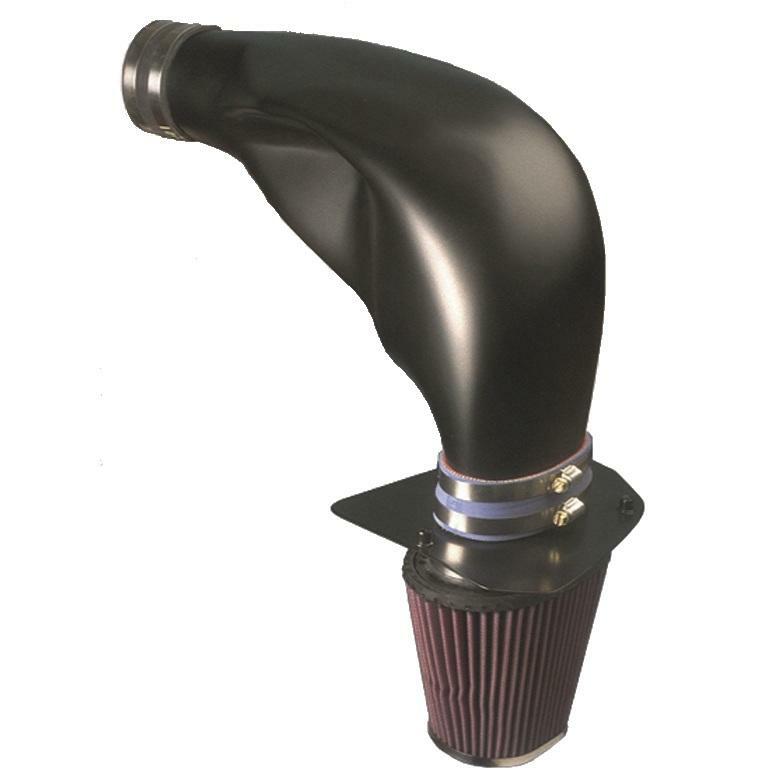 More air means more power, and with our computer designed inlet duct and ultra-low restriction filter element you get a huge increase in airflow over your stock system. The end result is more horsepower for significantly lower 0-60 mph and quarter mile times. Every component in our High Flow Air Induction System is manufactured with superior materials and craftsmanship. From the rotationally molded air inlet ducts, to stainless steel clamps and the ultra-low restriction filter element, the quality of Moroso’s Air Induction Systems is far superior to other brands. Despite the quality workmanship, premium materials and performance benefits, they are competitively priced. For years, Moroso Air Cleaners and accessories have set the standard by which all others are judged. Whether in triple process chrome steel, powdercoat or our unique fiber design, Moroso Air Cleaners provide the racer or street performance enthusiast with improved air flow, a lower stacking height, and unequalled fit and finish. Moroso Air Cleaners and accessories are simply the best money can buy!